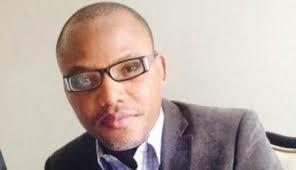 It is no longer news that the leader of IPOB worldwide Mazi Nnamdi Kanu is still in illegal detention today in Abuja because of the extra judicial pronouncements of Major-General Muhammadu Buhari the Fulani President of Nigeria on Wednesday the 30th of December, 2015 during his maiden Presidential Media Chat. To the shame of the judicial establishment in Nigeria and expression of utter disdain for the sanctity of the Constitution, President Buhari autocratically declared before a stunned civilised world that an 'accused' person that a court of law granted bail is undeserving to be freed despite the fact that such bail were granted by Courts of competent jurisdiction. The order made by Justice Ademola of the Federal High Court to release Mazi Nnamdi Kanu unconditionally is still subsisting and has neither been appealed by Buhari's agents, vacated or set aside. What the Fulani Justice Binta Nyako have chosen to do in the ongoing trial of Nnamdi Kanu and Others, is to align herself with the dictates of her kinsman President Buhari who is not only from the same Katsina State as Mrs Binta Nyako but also an ardent Muslim and Sharia Law proponent. That is why Binta Nyako elected to invoke the principles of Sharia Law in a matter pending before a Common Law court. IPOB worldwide is implacably opposed to the adoption of elements of Sharia Law in the trial of our leader and other Biafrans charged alongside him. We members of IPOB and the rest of the civilised world have been watching with keen interest the upsetting tendencies of Justice Binta Nyako to unconstitutionally import sharia law and arrogantly impose same on the defendants standing criminal trial before her at the Federal High Court where such law has no known place in judicial proceedings. The victims of this her unconstitutional misadventure are the Worldwide Leader of the Indigenous People of Biafra (IPOB for short ), Mazi Nnamdi Kanu and his co-defendants who are standing trial before her on charges of treasonable felony among others. Justice Binta Nyako displayed the highest level of judicial indiscretion when she drew an analogy with the requirements of sharia law for women in purdah, while expressing her reasons for acceding to the supplication of the prosecutor to have the witnesses testify behind screens with a view to protecting their identities. “Sobriety should be the first watch-word for anyone who, per chance, finds himself in the exalted position of a Judge. A judicial officer should not be talkative or loquacious… Above all, a judge should not be biased under any guise.” See Eriobunah v. Obiorah (1999) 8 NWLR (pt. 616) C.A. 622 at 646.